We install blinds for both indoor and outdoor applications. 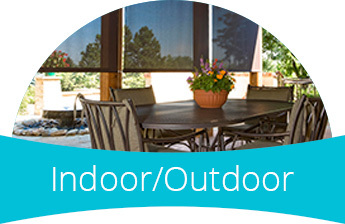 Our outdoor blinds are weather-proof and highly durable. Perfect for businesses. From company branding to promotions and artwork. 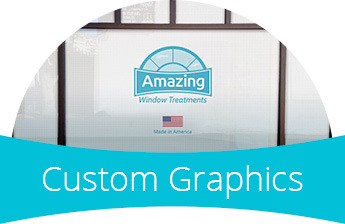 Our custom graphics will get you noticed. Stop messing with cords and getting up to adjust your blinds. 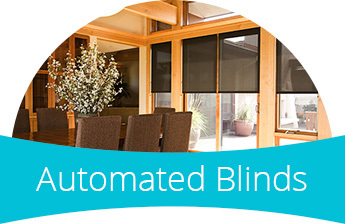 Install automated blinds and make your life simpler! One call, great pricing, and installed before opening. Thanks for a great job. My customers thank me for making them so comfortable when eating next to the windows. Thanks for the added beauty!